^ von Hassmann, Elisabeth. Jahrbuch des Kunsthistorischen Museums Wien. Böhlau Wien. 2015: 2–18. ISBN 9783205796220. ^ 6.0 6.1 6.2 The history of the British Museum. British Museum. [2008-04-05]. ^ van Dijke, Frouke; van der Meulen, Dik. Holland op z'n mooist. Uitgeverij WBOOKS. 2015: 14–38. ISBN 9789462580848. ^ ICOM Statutes. 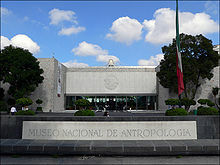 INternational Council of Museums. [2008-04-05]. （原始内容存档于2012-09-09）. ^ （Definition adopted 1998） Frequently asked questions. Museums Association. [2008-04-05]. ^ McClellan, Andrew. Inventing the Louvre: Art, Politics, and the Origins of the Modern Museum.... University of California Press. 1999: 14–20. ISBN 0520221761. ^ History of The Czartoryski Museum. Czartoryski. [2008-04-05]. ^ Booij, Alice; Tigchelaar, Jeannette. Schepen, schaatsen & schilderijen. Bornmeer, Uitgeverij. 2015: 3–27. ISBN 9789056153502. ^ Williams, Paul. Memorial Museums: the Global Rush to Commemorate Atrocities. Oxford: Berg. 2007: 8; 20–21. ISBN 9781845204891. ^ Berlin Museum für Naturkunde. Wissensdinge: Geschichten aus dem Naturkundemuseum. Nicolaische Verlagsbuchhandlung. 2015: 6–31. ISBN 9783894799502. ^ Virtual Museum of Canada - Musée virtuel du Canada. Virtual Museum of Canada - Musée virtuel du Canada. [2008-04-05]. ^ Museo de Arte Contemporáneo de Lima. LiMAC（Museo de Arte Contemporáneo de Lima）. [2008-04-05]. ^ Pollock, Griselda. Encounters in the Virtual Feminist Museum. Routledge. 2007. ISBN 0415413745.